Osteoarthritis is degenerative condition in which the cartilage in a joint deteriorates over time. It roughens and may eventually wear away altogether. This deterioration produces friction and can result in pain, stiffness, and loss of mobility. Because osteoarthritis is a progressive condition, doctors have identified five stages of osteoarthritis in the knee including an initial one that is the absence of the disease. As mentioned above, scientists begin tracking the progression of osteoarthritis in the knee with the stage in which it has not yet manifested. The patient has no complaints, and medical examination reveals no sign of deterioration. As one would expect, at this stage, there’s no treatment because as yet there’s nothing to treat. At this stage, the patient shows extremely minor bone spur growth. A bone spur is a growth that often occurs in the joint where two bones meet. This means there’s minor wear and tear in the joint, but very possibly not enough for the patient to experience any knee joint pain. If the patient isn’t experiencing any difficulties, his or her physician may well conclude that no intervention is necessary. On the other hand, though, if the patient appears at heightened risk of developing arthritis in the knee, it can be a good idea to undertake an exercise program or take supplements like chondroitin and glucosamine. These measures are likely to slow the progression of osteoarthritis and relieve any minor symptoms that may develop. At this stage, X-rays will show that bone spurs have grown larger, but the patient’s cartilage still looks healthy. There’s as much of it as there ought to be to keep bones from rubbing together and maintain the proper distance between them. As a result, this stage is classified as a mild form of osteoarthritis. Yet even so, patients are likely to experience noticeable osteoarthritis symptoms at Stage Two. They may have tenderness when kneeling or bending, stiffness if they haven’t used the knee for a while, or pain after a long period of walking or running. At this stage, interventions to relieve osteoarthritis symptoms and slow the progression of the condition are definitely indicated, but often, they need not involve medication. Weight loss relieves stress on the joints. 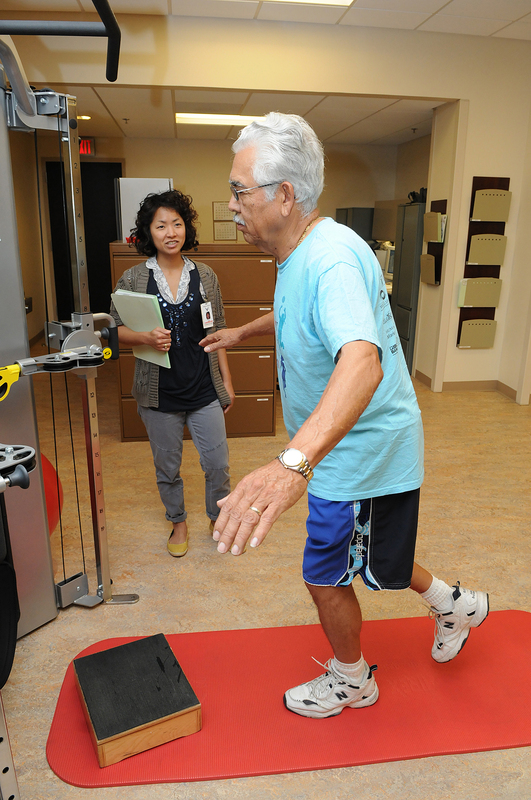 Even if the patient is already at a healthy weight, exercise can relieve symptoms and provide better quality of life. Some of that exercise may take the form of low=impact aerobics and strength training. Bu strengthening the muscles supporting the knee, these relieve stress on the joint, increase stability, and reduce the possibility of further deterioration. Patients are also well advised to protect the knee by not squatting, kneeling, or jumping more than necessary. Wraps and braces can stabilize a knee, and shoe inserts can help align a leg properly and reduce pressure on the knee. Some people do need medication like acetaminophen or NSAIDs to help with mild knee joint pain. If you use them, it should probably be in conjunction with some or all of the interventions described above as well. You should also be aware that long-term use of these medications could cause other problems. Acetaminophen can cause liver damage, and NSAIDs can damage your kidneys or liver and bring about cardiovascular issues and stomach ulcers. At this stage, there’s clear damage to the cartilage between bones, and the space between them has appreciably narrowed. This likely produces frequent knee joint pain whenever the knee is being flexed or used. Lengthy periods of motion can lead to swelling as well, while stiffness can result from extended periods of sitting. Individuals may also find they’re stiff upon waking up in the morning. Stage Three Osteoarthritis is classified as moderate. If the interventions appropriate at Stage Two prove insufficient, the doctor may recommend cortisone injections. Cortisone is a steroid that can relieve osteoarthritis pain when injected into the knee. The problem, though, is that the effect wears off after about two months, and repeated use of cortisone can actually cause further joint damage. Prescription pain medications like oxycodone and codeine are another option that, in the short term, are apt to relieve moderate to severe pain. Over the long haul, though, continued use of these medications can lead to increased tolerance and even dependence. They also may produce side effects including fatigue, sleepiness, and nausea. Yet another option is viscosupplements, hyaluronic acid administered via intra-articular injections. Some patients may received only a single injection, but it’s more common to receive up to five administered at one-week intervals. Not every one benefits from these injections, and even for those who do, the effect isn’t felt immediately. But when they do feel it, alleviation of osteoarthritis symptoms is apt to last for a number of months. At Stage Four, osteoarthritis sufferers experience considerable pain pretty much whenever they walk or move their knee. Consequently, Stage Four osteoarthritis is classified as severe. The cartilage is the knee is almost gone. The bones are close together, and stiffness if not complete immobility is the result. The quantity of synovial fluid is reduced, and thus is no longer provides sufficient lubrication to reduce friction when the joint moves. At this point, doctors are likely to recommend surgery. One possibility is bone realignment. The surgeon cuts the bone above or below the knee to make it longer or shorter or change the alignment. The goal is to shift the patient’s weight away from the point where bone spur growth is most pronounced and the most bone damage is present. It’s a procedure that tends to be performed on younger patients. Arthroplasty, or total knee replacement, is arguably the most drastic osteoarthritis intervention. The surgeon removes the knee and replaces it with an artificial one made of metal and plastic. Arthroplasty can produce side effects including blood clots and infections. It takes several weeks or even months to recover, and the patient needs an extensive program of physical and occupational therapy. It’s conceivable that at some point, the patient will require more surgery and perhaps even another total knee replacement, although it’s also entirely possible the artificial device will last for decades. As osteoarthritis progresses, symptoms worse while interventions become more difficult and drastic. So if you suspect you have osteoarthritis of the knee, it’s a good idea to consult your doctor as soon as possible and begin whatever treatment he recommends.